I’d love to get this thing as a birthday present. 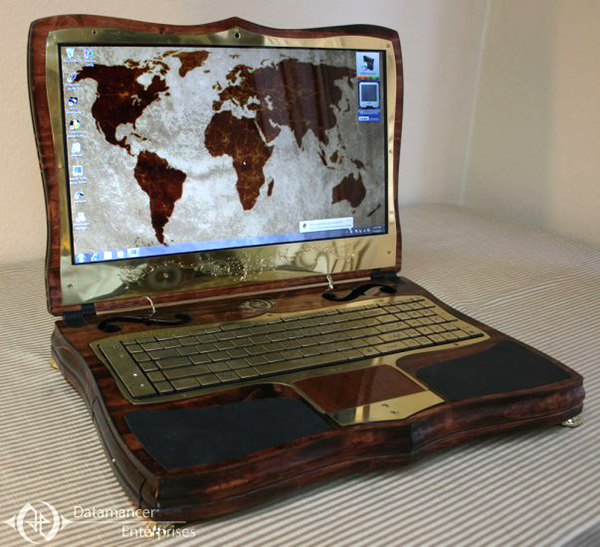 This cool music-box looking thing is Datamancer’s Steampunk laptop. Don’t be fooled by its retro look, there’s a perfect running HP ZT1000 laptop, underneath all that wood and metal gears, it’s even capable of running both Windows and Linux. But nobody really cares about how good a laptop it is now do they? 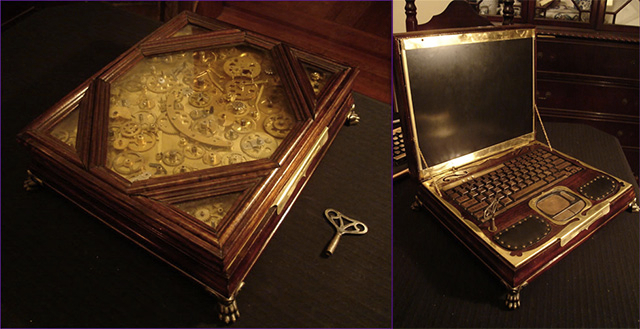 It’s all about that Victorian look, the elaborate clockwork under that glass screen, the brass key operated on/off switch, the claw legs…it’s simply gorgeous, and don’t tell me you don’t like it, you’re just jealous you don’t own one.